After months of work, Your Unstoppable Brand is now complete and available on Amazon.com. It was a long slog (as any author knows) but worth it. Now I am on to creating the workshop materials. 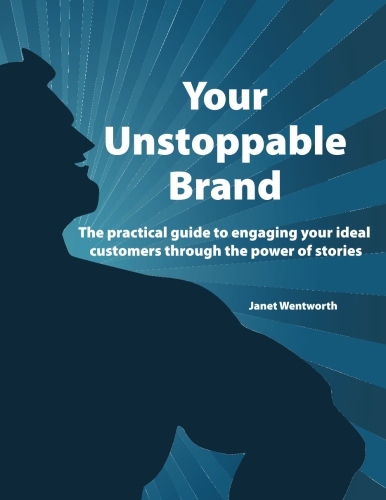 The best news is the Unstoppable Brand workshop is scheduled to begin September 26, 2013 and the Renaissance Center Marin. It will be a 7 week long joy ride of storytelling and brand building. The registration information will be up on the Renaissance Center web site shortly. They have great programs and the easiest way to stay current is to check their web site or follow them on Facebook. The Unstoppable Brand web site is nearing completion. Stay tuned . . . so much is ready to launch!